Curt and Kathy Stock started homebrewing in July of 1996. Their interest in homebrewing was sparked by friends and coworkers who brewed their own beer. About a year later Curt co-founded the Saint Paul Homebrewers Club with fellow brewers Gary Hipple and Scott Strand. 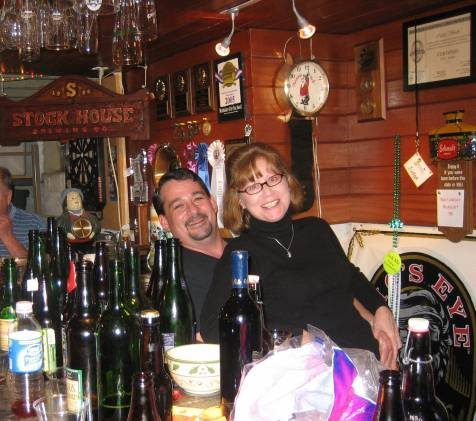 In August 2003 Curt and Kathy started making mead in addition to beer, wine and cider. Curt was elected to the AHA Governing Committee in 2006 and is the current organizer of the Master's Championship of Amateur Brewing (MCAB). There are many things a person can do to become a good brewer, but I think the biggest asset to any homebrewer is other homebrewers. Through interaction in clubs, internet forums, competitions and other venues, you can learn very valuable information from other people who share your interests. Use good quality fresh ingredients (those 3 year old hops may save you a couple dollars but you could jeopardize the whole batch if you use them). Know your ingredients (it.s important to know how base malts, specialty grains, hops, water profile and yeast affect your final beverage). Research the beer style you plan to make (it.s hard to hit a style if you don.t know what you are brewing. Read about the style, taste commercial examples and review many recipes. Formulate a recipe and make changes in future batches until you are happy with the results). Become an expert with your brew system (you don.t have to have the best brew system on earth to make great beer. But you do have to know how to brew on it. Become familiar with your system so you can brew consistently with it. Pick a style you like, brew it once a month until you can duplicate the results consistently. Until you know your system, it.s very difficult to make changes to recipes and know what exactly changed the flavor . was it the different ingredients or was it the new mash tun, burner, pump, etc.). Invite a fellow brewer to brew with you (I.ve never not learned something when I.ve brewed with other brewers.). Practice. Enough said. More practice = More BEER! Remember to give back to the hobby in any way you can. Become a club member, volunteer to help out at competitions and functions, enter competitions, provide advice when asked and anything else you can think of. That's how we keep the hobby strong.